GOKPOP | Exclusive K-News in Malaysia & Singapore: Capture the Best "MirrorSelfie" to Win a 4 Days 3 Nights Trip to Korea & Meet Actor Jung Hae-in! 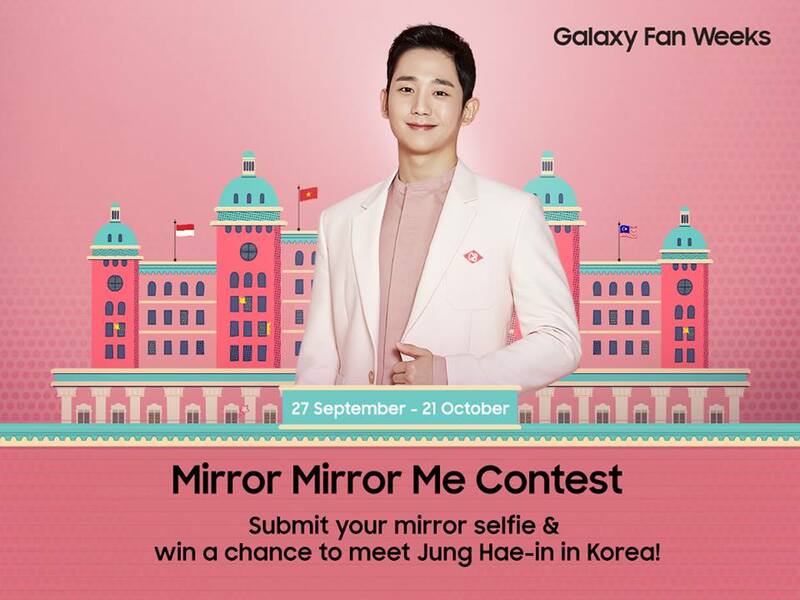 Capture the Best "MirrorSelfie" to Win a 4 Days 3 Nights Trip to Korea & Meet Actor Jung Hae-in! Attention all beauty enthusiasts! Do you want to be a part of a prominent beauty show, where you can learn all the K-beauty skills and secrets from your favourite Korean celebrities and experts, and take your selfies to the next level? If the answer is yes, here’s your chance! Through its Mirror Mirror Me Selfie contest, Samsung Malaysia Electronics is giving you the opportunity to be the next “Better Girl” and star on the popular Get it Beauty reality TV show. With just a few simple steps, you could stand a chance to be a part of the “Get It Beauty Better Girls School” TV reality show with South Korean actor Jung Hae-In! Contest ends on 21 October, 11.59PM, shortlisted winners will be announced on 25 October. What are you waiting for? 10,000 beauty kits from prominent beauty brands also will be given to the participants across the country, so pick up any Samsung Galaxy smartphone today and start posing for the best mirror selfie! Don’t miss this chance to be a part of this glamorous experience.